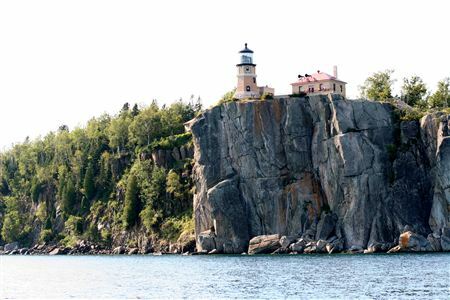 This event is for members and staff to enjoy a two day cruise from Silver Bay to Duluth. Where else could you get a cruise like this for just the cost a membership and and split expenses on food? 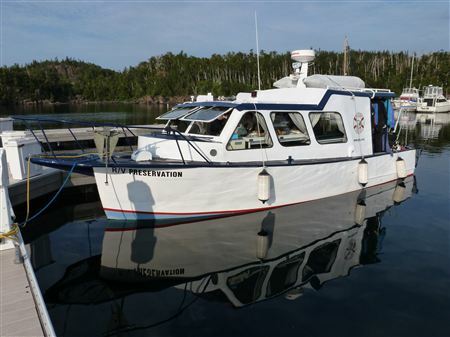 We departed Silver Bay at 8:30 AM and cruised over to the Hesper to dive and remove the mooring buoy for the season. Ran back to the Marina, dropped off the Hesper Buoy, filled with fuel and departed for the Madeira to do the same thing. 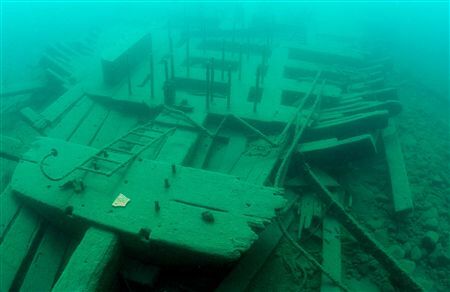 At about 3:00 PM we departed the Madeira for Two Harbors. We arrived at 7:00 PM. Caught some dinner (Pizza) in town. Moved back to the S.P. Ely Break wall to catch some sleep. We woke up about 7:30 AM to dive the S.P. Ely. 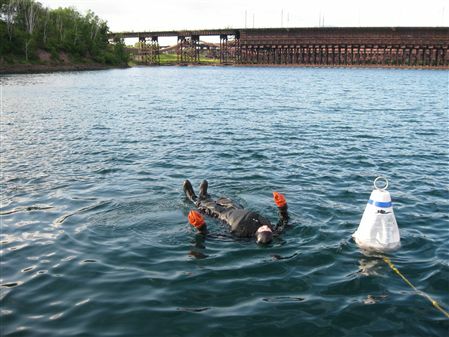 Then removed the buoy and departed for Duluth by 12:00 Noon. Arrived at Duluth at 3:00 PM. The RV Preservation cruise back to Duluth was fun and productive. We invited members to join us. 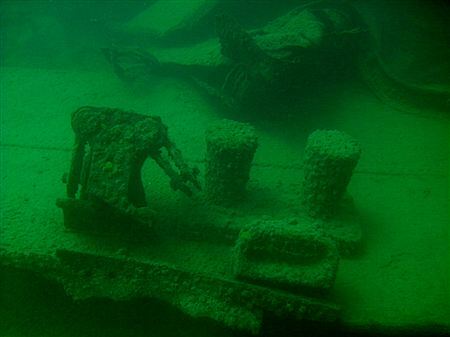 Two new members registered for the event and had a great time cruising and diving along the way back. We had two more projects to complete for 2016, The Thomas Wilson Invasive Species Monitoring Projects (2). Then it will be pulled out for winter layup at Spirit Lake Marina the middle of October. The weather was treating us nicely, so we were able to take advantage of it and make it a two day cruise. 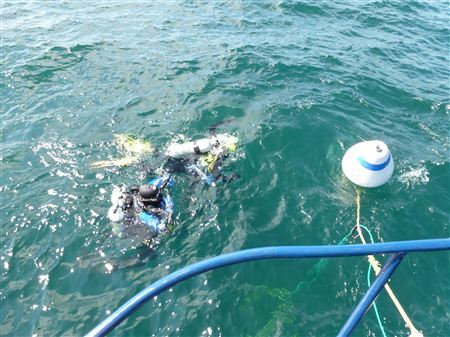 Saturday we dived the Hesper and Madeira before removing the mooring Buoys. 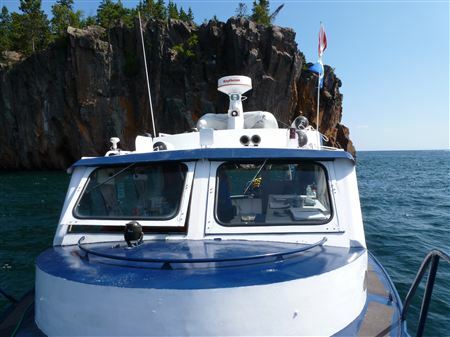 We stayed over night at the Two Harbors Agate Bay Break wall. This is where the S.P. Ely is located. After waking up in the morning, we prepared for a leisure dive on the S.P. Ely. Nice warm dive! Then we cruised the rest of the way back to Spirit Lake Marina. We were going to try diving the Thomas Wilson or Mayflower however, the wind came up the last hour of the cruise and created 2 to 4 foot waves which isn't favorable for diving the Wilson. We docked the boat at Spirit Lake Marina, had a bite to eat then departed for Silver Bay to fetch our vehicles we left up there to be able to cruise the boat down. We had left a vehicle at Spirit Lake marina on the way up so that we could transport all of us backup to Silver Bay again. A great plan makes for a great weekend of fun. All participants had a great time. Thank you to Philip Kelly, Jon Stacke, Tim Panke and Phil Kerber for participating in transporting the GLSPS Research Vessel back to Duluth. Thank you to all the joined us on the cruise.